A wet morning session today means that things are even more up in the air ahead of qualifying than they were already. Red Bull still look strong, with Vettel slightly ahead of his teammate, Kubica put on a strong performance in the damp conditions though, to take the fastest time of the morning. Can he repeat the feat this afternoon? The first session of the day saw some heavy rain that tailed off towards the end of the hour - but at no point were we seeing drivers contemplating dry tyres. It's meant to be a bit lighter this afternoon, but the weather will be playing a big part in qualifying. As man of the moment, Kubica could be a surprise in qualifying. We've been concentrating on the Red Bull guys and Alonso, but there's a rogue Renault in their midst! After practice yesterday, Kub was a bit reticent. Our position looked pretty good in both sessions today but we know from experience that Friday can be misleading, so we need to be cautious. The main target overnight will be to improve the balance of the car because it was not ideal today - I was struggling with inconsistency and low grip. None of the changes we made really allowed us to make a big step forward, so we need to work hard this evening to make progress. Can he mix things up in qualifying today? 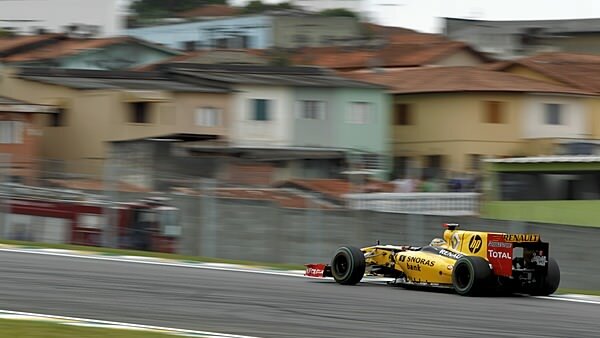 Who will be on pole for the Brazilian GP?